Rooftops, castles, beaches, and even houseboats have served as private dining spots over the years. But a bank vault? That will be an option for diners in Pittsburgh’s newest restaurant — Del Frisco’s Double Eagle Steakhouse, which will open in the historic Union Trust Building in May 2019. The Irving, Texas-based chain will occupy four levels of the Grant Street landmark, including the basement, where it plans to convert two old heavily fortified vaults into private dining rooms. 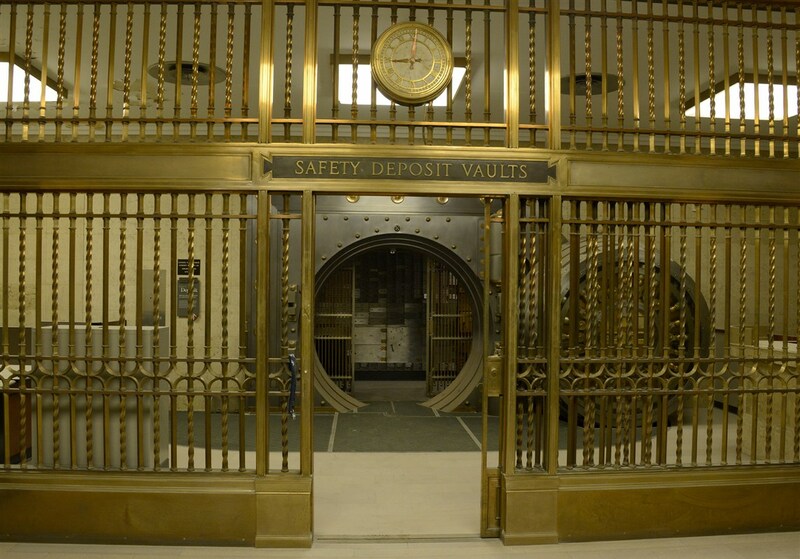 One of the vaults is a safe deposit vault 80 feet long, 45 feet wide and 8 2/3 feet high with walls 20 inches thick. At the time of its installation, the vault was considered the largest and strongest in the world. A testament to its heft is its massive circular 55-ton door — one that remains operational to this day. Christopher Lasky, vice president of development for The Davis Companies, which owns the Union Trust Building, said the vault doors will stay. Of the 1,000 safe deposit boxes still in place, Del Frisco’s plans to remove some from the middle of the vault but has yet to decide what to do with those lining the perimeter, Mr. Lasky said. Besides the private dining inside the vaults, there will be a lounge area and small bar in front of them. In Philadelphia, Del Frisco’s turned a bank vault inside the historic Packard Building into a private dining room encased by glass wine cellars and flanked by a 13-ton metal door at the entrance. The bank’s safeboxes still line the walls. Del Frisco’s has had its eye on the Steel City for some time, CEO Norman Abdallah said in a statement. 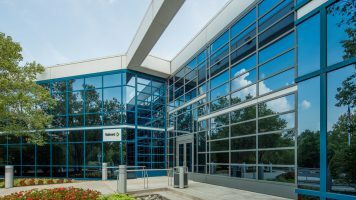 “It’s been a goal of ours for a long time to open a location in Pittsburgh, which continues to grow with thriving technology, services and financial companies,” he said. The restaurant has signed a 15-year lease with The Davis Companies, the Boston-based real estate firm that purchased the building in 2014, to occupy a prominent corner spot on Fifth Avenue across from the former Macy’s/Kaufmann’s department store. 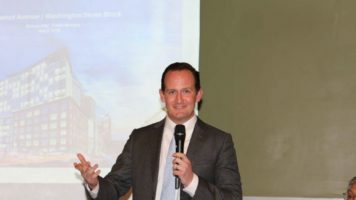 Jon Davis, The Davis Companies CEO and founder, said Del Frisco’s serves as the “capstone” of the firm’s efforts to revive the Union Trust’s street level retail space, which was nearly empty when it bought the building. Del Frisco’s will join four other restaurants at the Union Trust Building — the Union Standard, Eddie V’s, Freshii, and Jimmy John’s. With the arrival of Del Frisco’s, all of the exterior retail space will be filled, more than 33,000 square feet in all. The Davis Companies is still working to secure a tenant for a lobby bar. The firm has spent $100 million renovating and restoring the building and its grand architecture since purchasing it for $14 million. Opened in 1917, the iconic Grant Street structure was built by industrialist Henry Clay Frick. At the time of The Davis Companies’ purchase, the building was flat on its back, with nearly all of its retail space empty and an office occupancy of 39 percent. Besides filling the retail spots, the new owner has boosted occupancy to more than 80 percent. Mr. Davis attributed the turnaround to his company’s investment in and vision for the building as well as the resurgence around Mellon Square, with new apartments and hotels and other construction. “This part of Downtown Pittsburgh has come a long way,” he said. Del Frisco’s will add to the beefy list of steakhouses available to diners in or near Downtown. As the Post-Gazette recently reported, there are nearly a dozen available, whether they are known as true steakhouses or essentially serve that role. Mr. Davis believes there’s room for one more, at least one of Del Frisco’s quality and reputation. Mark Belko: mbelko@post-gazette.com or 412-263-1262. Updated at 6:25 p.m., May 2, 2018.